Bringing to life the art of beautiful interiors thru the professional practice of interior design. Your home is a precious gift you give yourself, the expression of who you are in the world and what inspires you. Malibu West Interiors, Inc. will create a home that delights and dazzles, layering hues and textures to add a comfort level which is unique to each individual. For 25 years our base is Naples, Florida, home to a growing community from many walks of life. Leslie Thompson's goal is to create a positive design experience, fun and exciting, which results in the reflection of each individuals personal design style. She prefers to work as a team with the architect, contractor, and the homeowner, to assure that all facets of the clients' wishes are met when the project is completed. Maria Charmaine Designs has been providing clients with sophisticated interior design and livable homes that accommodate their family's needs and personalities for more than fifteen years. We work closely with our clients in a variety of innovative styles to create interiors that are interesting, warm, elegant, and functional. Known for creative and thoughtful use of textiles, color, and quality furnishings, Maria Charmaine Designs is committed to the design principle that “ a room must be right for its time, its place, and for the people who live in it”. Through passion, competence and determination, LDL Interiors has mastered the conversation of effective design. We enjoy what we do, and it is apparent in our attention to detail. Never one to stray from a challenge, Lynn left an unfulfilling role in the investment and financial world in 1982 to pursue her passion to create. With encouragement from her family, especially her father who recognized her innate talent, she united her business acumen and conceptual prowess into a thriving design practice, LDL Interiors. Lynn places a high value on education. She holds a BS in Business Administration from the State University of New York, New Paltz, attended the New York School of Interior Design and has completed graduate courses at Marrist College. She regularly attends most major design markets and augments her professional expertise through professional classes and extensive research. She is also a member of the Interior Design Society. Originally from New York, Lynn, her husband and two children have made Naples their home since 1989. She has held several positions in high-end design and building firms that provided her invaluable insights into the profession and the Southwest Florida market. 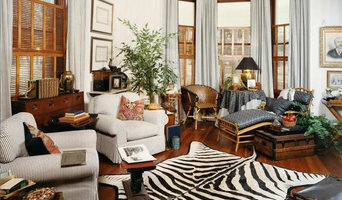 But true to her calling to freely create, she inaugurated LDL Interiors in 1995. Without reserve, she affirms that this decision has allowed her to blossom both professionally and personally. Gary David Niethamer's design is recognized as a classical approach that transcends trendiness. A master of his medium, his interest in interior design evolved when he began working for his father's drapery workroom while attending high school. It was then that his life's direction turned north to study at the Wilsey School of Art in New York. Design has been his passion ever since. A graduate of the Art Institute of Pittsburgh, Niethamer is well versed in architechture and art history. He nourishes and enriches his perspective by traveling the world collecting art and antiques on behalf of his clients. Over three decades later, Gary now acts as a consultant to some of the area's leading developers and builders on such matters as nuance, texture and style. The design staff and its support staff are unique. Each person has individually been part of the Gary David Designs family for fifteen years or longer. It is this experience, dedication, co-operation, and sincerity that each member of the firm offers its clients and to each other. The firm recognizes the attributes and talent that everyone contributes to the client and the client's project. Sandra Asdourian Interiors an Award Winning Naples FL and Babylon Village NY Interior Designer “Home is where you find refuge from the busy outside world. Therefore, coming home each day should be a reflection of your personality in a beautiful and inviting atmosphere. “ Working with an Interior Designer saves you time and money. Above all, we are known for designing beautiful timeless interiors that our clients love for years to come. In addition, we specialize in turn key and second home design services. Our Process: Step 1. Design Consultation A Design Consultation at your home for up to 90 minutes. Firstly, you email us your design concerns and photos of the project area. Secondly, an appointment time is set up for Sandra to come to your house walk through the space and assess what you would like to improve. For instance, help with your layout to harmonize better with flow and function of the space. Also, she will help in selecting colors and answering whatever questions you may have. At the end of your time together, you’ll have lots of suggestions and ideas about how to transform your space. $275 Step 2. Full Service Design The first step is an in home design consultation to discuss your design needs and what you would like to invest in your project. After that, we arrange a time to measure the project space and outline the design plan. Sandra then develops the design concept, In addition to preparing the floor plans and/or other renderings also sourcing all the items needed for your project. Most importantly, we then meet with our trades people to prepare quotes. We work with trade prices from our vendors, in addition, we share this pricing discount along with you. 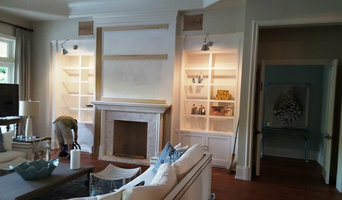 Hiring an Interior Designer allows you options and choices that are not typically available at stores. We work with ‘ for the trade only vendors’ so each piece chosen for your project is unique as your home. After that, is the presentation for your approval with any revisions needed. In conclusion, we start ordering , arranging the trades work, deliveries and finial installation. Fee based on the scope of the project, $150 an hour. For Paint/Color-only Consultation up to 1 hour $150 A consultation can be either a standalone service or the first piece of a full service design. 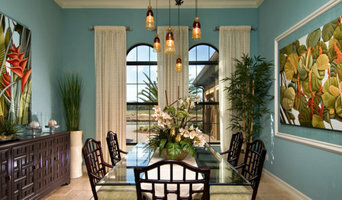 At Seacoast Interiors, our goal is to help your home become a reflection of your vision. Traditional or tropical, coastal or contemporary --Gail will guide you through the decisions, provide you with fresh options and let you choose your favorites. We pull it all together into a home or office design that is beautiful, functional and uniquely yours.